MY sister Kelly (9.5 year age gap) told me the world was a different place when she graduated from university. Maybe it’s true, I can’t know for sure. But I do know that sometime in 2008, while studying abroad in the caribbean, I realized that what was happening with “the economy” and the “job market” was serious enough that the News today would have lasting effects (regarding my personal future). Was my future not an eternal beach? It’s not as if the news didn’t matter before. Or the economy. Or the job market. but i was looking at graduating very shortly, and what that meant as a LITERATURE major. suddenly, i felt alarm. not just vague alarm either. so where was I at with scuba diving at this point? A freshly certified scuba diver in 2008, I started off in California, and then took my NAUI card with me to the University of the West Indies, Barbados. A group of students decided to do their PADI Open Water while there, and I went on their first open water dives. After that I went diving probably every other week, enjoying the warm tropical waters, and the plentiful coral reef life. As I had no experience with tropical diving before, Barbados was paradise for me, and I really did enjoy diving. Barbados was where I did my first night dive. And Barbados is where I first saw baby sea turtles (and participated in release). 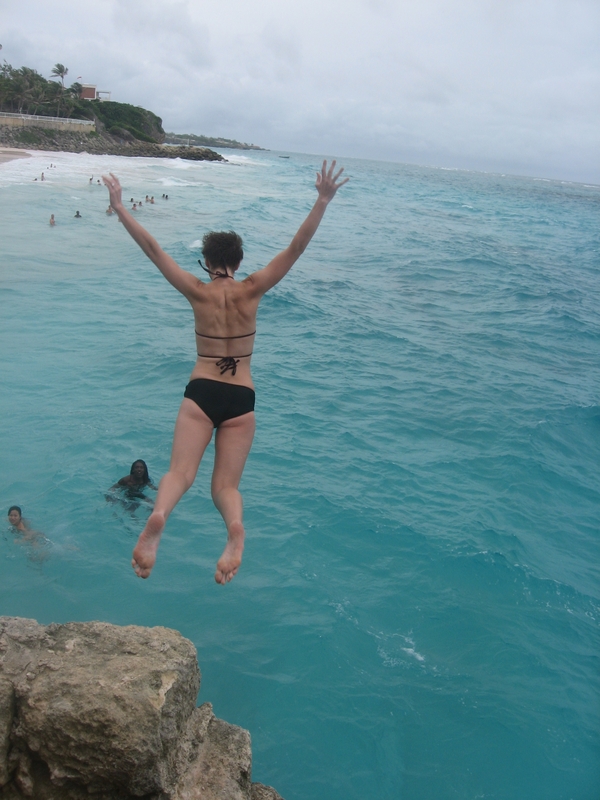 So, Barbados was a lot of firsts for me. First time I became aware of my personal place in the global environment. The first time I became aware of the perils threatening our ocean (seeing coral reef that was “minefished”). The first time I realized that I would really have to face a life time of uncertainty about my future profession (and make a decision), and suddenly under this veil of impending doom instead of a blossoming free market. I don’t really remember the underwater life I saw in Barbados. Instead, I remember long bus rides all over the island, and visiting beaches on all sides of the coast. I remember being excited to scuba dive, and how it felt to love a place other than California. I remember trying to justify staying. So upon further reflection, I think this is where my SCUBA career began. Not with completing my Open Water, not in the ocean that holds my heart the closest, and not when I became a Divemaster, but upon being thrown into the uncertain, and finding the thing that was drawing me was the thing that connected us all. Baby turtles and the Barbados Sea Turtle Project start to show me the way to the ocean. ps next time: i decide to gopro. and the lady who convinced me to become an babe-instructor. Great to see you Saturday at the aquarium. Enjoyed this blog. I love love the words “the ocean that holds my heart the closest ” just beautiful resonating poignant words. Take care and have fun. Young people like you help me have hope in the future of our distressed world.